I am the Founder of a company called CrowdSparked. CrowdSparked is a crowdfunding platform. On CrowdSparked, students can raise money in the form of donations to fund their education. 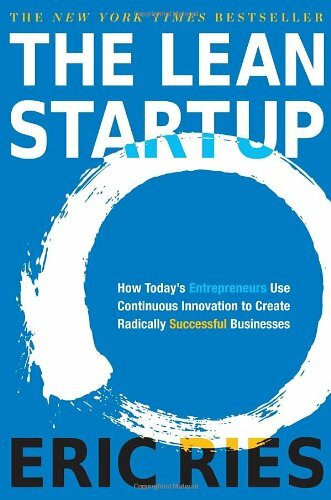 Recently I took a dive into the startup world. I was very surprised at what I saw. As an internet marketing specialist, I focus on promoting content online. I decided to check out some local startups in my area to see what they were about. Fast forward eight months later and I am on a team of 5 people in a startup. Fast forward one year and I am apart of 2 startups and have just founded one. I am now the founder of a startup called CrowdSparked but more on that later. In this article I am going to tell you about how startups can utilize internet marketing techniques to promote their business, so lets get started! surprisingly many startups fail to organize and create a proper marketing plan. The most common excuse is "We will get a ton of press and that will push growth" Many startups rely on the hope of good media press to push user growth. They think that they will have a viral effect and once they get a few sign ups, the rest will come running. Startups tend to focus on making a perfect product. While that is very important, you must also consider marketing. Any product will sell with the right marketing. It may be hard but it will sell. In my first startup experience, I realized half way in that marketing starts before the product is ready to sell, in fact it starts months earlier. I had started my efforts a few weeks before we were ready to do a beta launch. In hine site, I should have started months early, and gotten prepared so that I could come out smashing. All, and I mean All companies should have social media pages. These include, Twitter,Facebook, Linkedin, and maybe even Instagram. Even if you are not a technology company, you should have social media pages. Additionally, companies should have websites. Even as little as a landing page with a box to input your email can help. People should be directed to your website so that they can subscribe to updates and learn a little more about your business. Here is an example of a landing page I did for my website. As you can see from the image above, all I did was put a background image, a few connect buttons and a box for users to input their emails. The only things that is really missing is more information about the company. If I add a larger blurb about what we do, people will jump to sign-up! Even still, this is a great landing page, and our conversion rates from here are pretty good. Startups especially lean startups, are always tight on money. They must use money efficiently because frankly they don't have much of it. While a ton of money is spent on developement, any marketing budget is used to buy banners and pens and other memorabilia that frankly may not help get users or sales. I advise startups to spend a few hundred dollars on an online Pay Per Click Ad campaign. It is cheap and can be effective. Right now Google will give you a free 100 dollars to spend on Ad words when you spend 25 bucks. What a deal! With pay per click advertising, you are paying for high quality leads. Starting a small campaign also helps you determine an important metric. User Acquisition costs! With a test campaign, you can now go to investors and say hey it costs me ______ per user. That is an important number to know, and you will have the Adwords report to back up your claims. Lets focus now on how to launch. Whether you are doing an Alpha,Beta or hard launch, doing it properly matters. In the beginning of this piece I said, many startups rely on press to get them going. I went on to say that startups needed to worry more about online marketing then just press. When launching a product, the value of the media cannot be ignored. It should not be your only play to get users/sales but it can be your strongest play if chosen. notifying newspapers,online publications,tv ,radio and more are important, below I tell you how to do that. Make a list of all the media that you want to contact. This will help you a lot. Say you want at least 50 publications to post about your new startups product. Then make a list of 500 publications because the chances of each on featuring you are low. The key to spreading the word is well spreading the word. The more people you talk to the better. You will have to call hundred, even thousands of news companies to get your product discussed. It is a lot of work there is no doubt about it. The bad news is that you only have one or two shots to get it right. You only launch a product once. Yes once in a while you will do a relaunch or go from a Alpha to beta launch or from a beta to hard launch but generally speaking you do not have many chances to submit press realises, so be sure to spend resources to do it right the first time. In this article I discussed a few main points. Being in a startup is hard, it is exiting and challenging. Making a great product is only half the battle, now you have to get it out to the world and show it to people. Try doing some of the things I discussed in this article. Please leave comments and feedback, If you want to learn more then checkout some of my other articles .